Cholesterol-lowering statins are already known to help cut heart risks for seniors and the middle-aged. 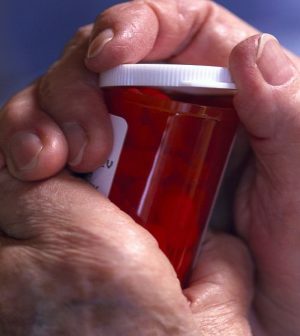 Now, research confirms the meds can also help people aged 75 and older. “Statin therapy has been shown to prevent cardiovascular disease in a wide range of people, but there has been uncertainty about its efficacy and safety among older people,” said lead investigator Anthony Keech. He’s a professor of medicine, cardiology and epidemiology at the University of Sydney in Australia. “Our study summarized all the available evidence from major trials to help clarify this issue. We found that there were significant reductions in major vascular events in each of the six age groups considered, including patients [who were] aged over 75 at the start of treatment,” Keech said in an Oxford news release. “Statin therapy appears to be just as effective in people aged over 75 years as it is in younger people,” study co-investigator Jordan Fulcher said in the news release. Fulcher is a cardiovascular research fellow at the University of Sydney. “We have definitive evidence that statins benefit older people who have suffered a heart attack or stroke. Fewer healthy older people were represented in these trials, so more information in this group of people would help confirm the same benefits that we see in our overall trials population,” he said. The risk of heart attacks and strokes rises sharply with age, yet statins are not used as widely in older people as they should be, study co-investigator Colin Baigent said in the news release. He’s director of Oxford’s Medical Research Council Population Health Research Unit. “Since the risk of heart attack and stroke increases with age, the potential benefits are likely to be even greater for older people,” he said. “Therefore, there is a need to ensure that patients at risk of cardiovascular disease due to their age are offered statin therapy where there is good reason to believe that it will be beneficial,” Baigent said. The U.S. Food and Drug Administration has more on statins.